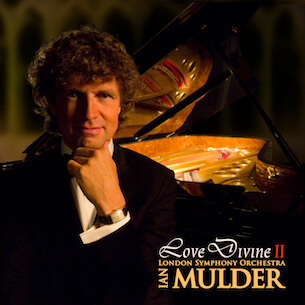 "Love Divine 2 is a continuation of the heavenly music found on the cd Love Divine which includes favorite and poignant hymns perfectly delivered by the London Symphony Orchestra playing the inspirational arrangements of Dutch/American pianist and composer Ian Mulder (Nashville, TN – USA). Mulder’s music is the gift that keeps on giving filling the listener with love, hope and peace. The world will be a better place if his creative juices keep flowing, perhaps with the possibility of a third edition of Love Divine."